I, and a few others from that conference, have bought tickets. I hope to shake your hand this time for a job well done for they would not have tried to stop you forecasting if you were like everyone else who are usually wrong. ANSWER: Oh yes. I remember that event. I sat at the head table with all the central banks of Europe and the French host was upset how the table began speaking English because it was the one language everyone knew. He was so pleased when I ordered my meal in French. 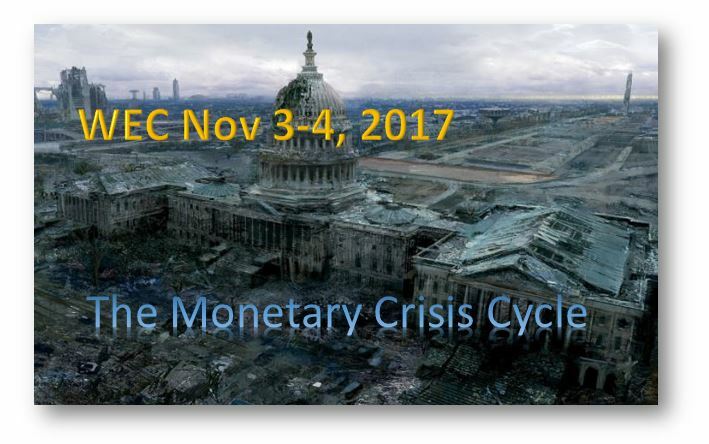 To answer your question, the Monetary Crisis Cycle has two phases. There is a short series and a long series. These are frequencies that result in major upheavals in the world monetary system but each results in a slightly different outcome and we are converging between the two. They have brought governments to their knees. This is the culmination of fiscal mismanagement since World War II as we prepare and go through the pains of labor before a new system emerges. All of these things are connected. This is the most hated bull market in history. April 2017 was 97 months from the start which was the length of the bull market into 1929. After 97 months, the majority were bearish not bullish. Only now are retail investors starting to come back. I have warned that threshold was 23,000 on the Dow. We can see that happening right now. 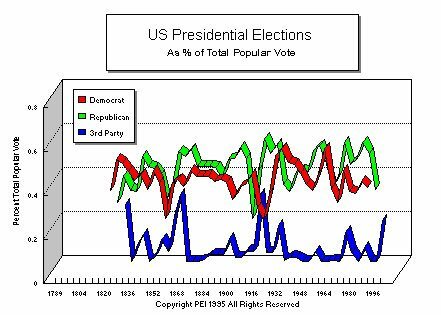 Our forecast back in 1985 that the 2016 election in the States would be the first time a third party could rise was on point. Trump effectively pulled off a coup and took over the Republican Party. The elites didn’t get it and said all these people voting Republican for Trump were not “real” Republicans. They are too corrupt to see that they are indeed the problem and it is not Trump as a personality that won, it was part of the birthing process that we are in before a new system emerges. The old elites will be dead soon and a new age is dawning. Yet they will not go quietly into that light – they will rage against the coming of the light as they say. 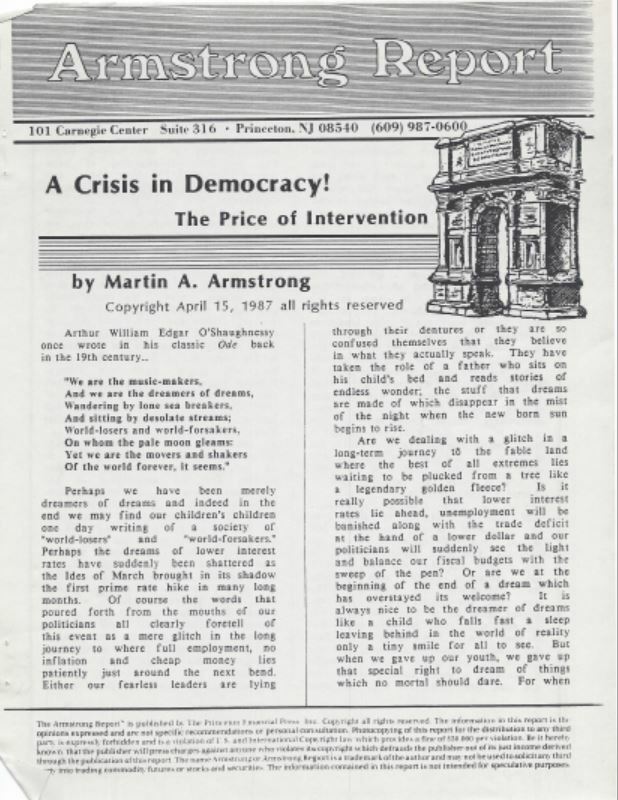 I have warned that the start of the Private Wave in 1985 meant that confidence would shift away from government and this would be one day seen as the Crisis in Democracy wave.